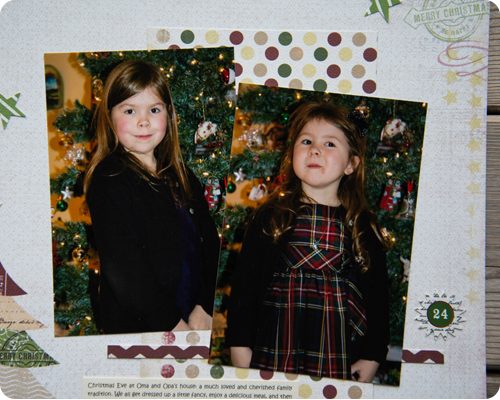 We always get dressed up on Christmas Eve when we go to my parents and I simply adore these pictures of the girls in front of the Christmas tree. 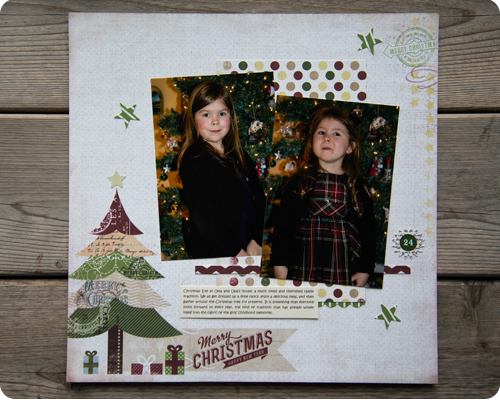 I used paper from the So This is Christmas line by Carta Bella. This paper is absolutely gorgeous; I especially love the weight....it just feels like really good quality paper. I used to shy away from using papers where there were designs printed in the corners, like this one, because I was not sure how to work with them. But after a lengthy discussion with the owner of my local scrapbook store, I was encouraged to give them a try. This is my second layout using this type of paper and you know what, I really like how it works with my clean and simple style. 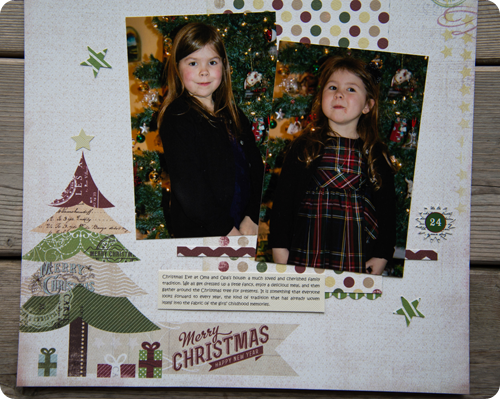 There is one more Christmas layout lying on my table, just waiting to be finished up....stay tuned. Hope you are getting some scrapping done yourself. As always, thanks so much for reading. Sweet pictures and pretty page! The papers are perfect. LOVE your new profile picture!! Thanks Leslie. I could not believe how perfectly this paper coordinated with these pictures. 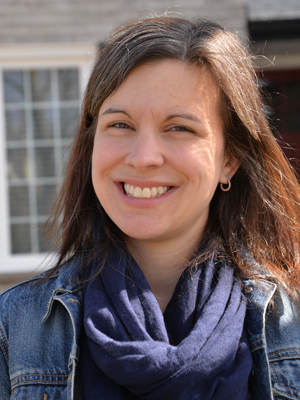 Thanks for noticing my new profile picture...it was in desperate need of an update.